Formation of Brothers: The Priory is entrusted with the initial formation of first year postulants. There are 17 brothers and they hail from various states of our country. We have brothers from Karnataka, Kerala, Maharashtra, Odisha, Chhattisgarh, Jharkhand, Uttar Pradesh and West Bengal. The Parish Apostolate: The Priory is entrusted with the spiritual and moral formation of people of all strata belonging to our parish. The parish church is dedicated to St. Dominic de Guzman. There are 460 families consisting into 10 local zones called wards. 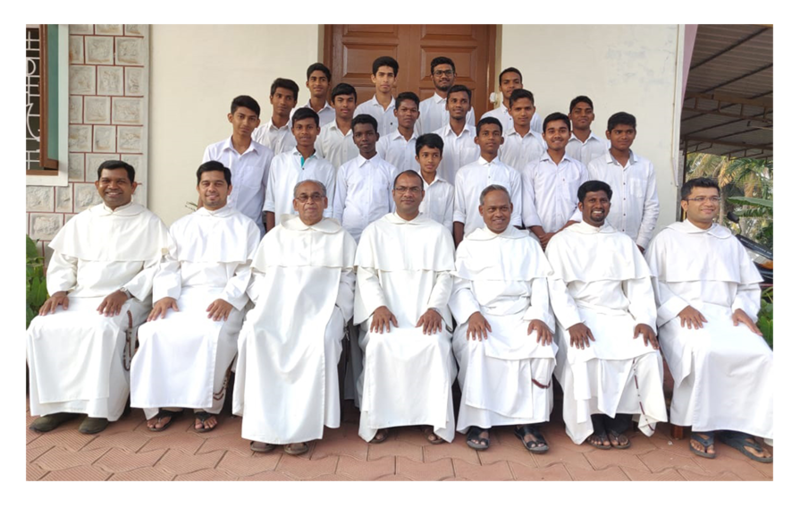 The Teaching Ministry: The friars are engaged in teaching ministry at various capacities; as a full time teacher in a school belonging to the diocese of Mangalore. As a visiting professors at various seminaries across India. The Preaching Ministry: The friars are engaged in preaching ministry especially in the diocese of Mangalore and also across the country. The preaching ministry includes Celebration of Holy Eucharist, Confessions, retreats, spiritual talks and seafarer’s ministry so on.